A bill that would have restricted domestic drones died in the Washington state Legislature on Wednesday, the victim of intense lobbying from unmanned-aircraft manufacturer Boeing, its sponsor said. The death of the anti-drone bill at the hands of the state's House Democratic majority was another sign of how drones have upended traditional left-right thinking about issues like privacy and human rights. Republican state Rep. David Taylor's legislation would have forced Washington's state and local law enforcement agencies, as well as its regulatory agencies, to obtain legislative approval before buying drones. It was inspired in part by the Seattle Police Department's recent bungled attempt to buy drones. The bill passed out of committee in February on a bipartisan 9-1 vote. When the Washington House's Democratic leadership began to consider whether to bring it up for a full floor vote, however, the trouble began. Both Boeing, which employed 83,000 people in Washington state in 2012, and the Washington Association of Sheriffs and Police Chiefs pushed back. Boeing was concerned about the potential blow to the domestic drone market, and the police officials were worried about having their drone purchases put under the public eye. "Boeing was inflexible," Taylor said. "I believe that Boeing got to the Democrat leadership, and that's why the bill didn't move." The legislation technically failed because it failed to get a floor vote before a 5 p.m. Wednesday cutoff. The House Democratic Caucus did not immediately respond to a request for comment. Taylor introduced the bill after the Washington State Farm Bureau raised concerns that regulators would use drones to spy on farmland. His bill was supported by the state branch of the American Civil Liberties Union, which was worried that drones might be used for warrantless surveillance. Sue Bradley, the director of communications for Boeing's community and government relations department, told HuffPost via email that "Boeing had concerns about the bill and could not support it in the form it was presented." Responding to the ACLU's lobbying on the issue, she wrote, "All I will say is that every legislative session we support policies that advance the company’s business interests and keep the state competitive." Taylor said he will try for a full House vote again next year. He said he has tried to remain open to Boeing and to address its concerns, to no avail. "It was just a fundamental disagreement," Taylor said. "The best way to put it, quite frankly, is profits over people's privacy. That's really what the disagreement came down to." <strong>Type</strong>: Military (U.S.) <strong>Description</strong>: Boeing's stealth Phantom Ray took to the skies for the <a href="http://www.boeing.com/Features/2011/05/bds_phantom_ray_first_flight_05_04_11.html" target="_hplink">first time in April 2011</a>. 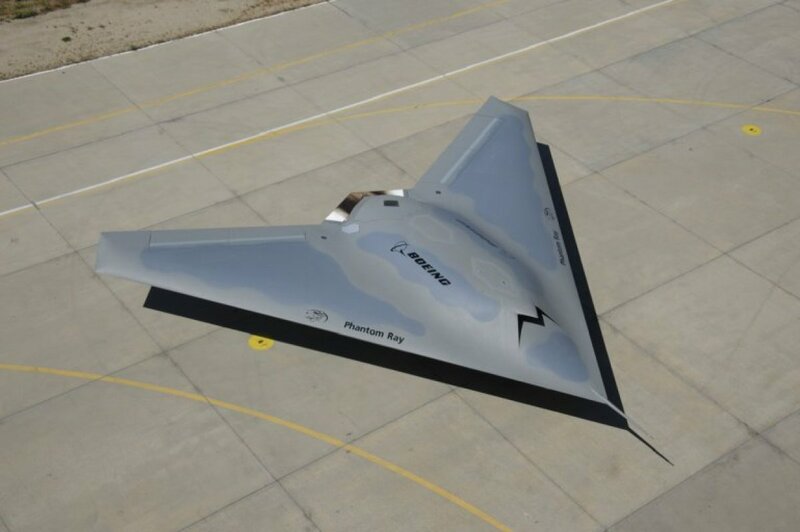 According to Boeing, the <a href="http://www.boeing.com/advertising/bma/unmanned/unmanned_05.html" target="_hplink">Phantom Ray can perform missions</a> such as intelligence, surveillance and reconnaissance; suppression of enemy air defenses; and electronic attack. <strong>Potential Deployment</strong>: Unknown. This is a "demonstrator" so there will likely be a future variation of the Ray.